The Nike Men's Therma-Fit Knockout Crew Sweatshirt is a performance fleece pull-over with trim at neck, sleeve and hem. Unique armhole design and rib side panels. 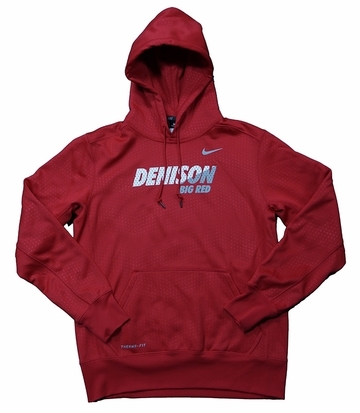 Featuring the Nike Swoosh and Denison Big Red lettering. This sweatshirt is perfect for Denison supporters of all kinds students, alumni, friends, and family."